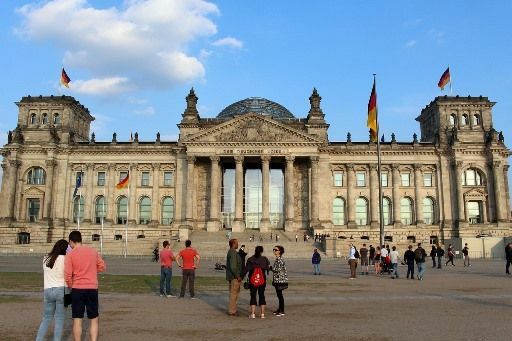 The historical Reichstag building on the Platz der Republik was constructed in 1884-'94 to house the Imperial Diet of the German Empire. 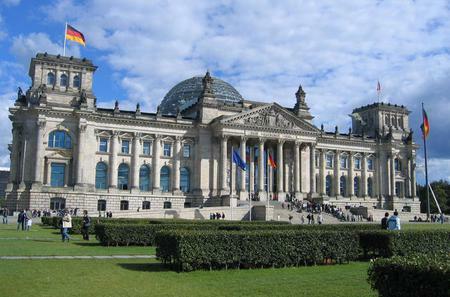 The historical Reichstag building on the Platz der Republik was constructed in 1884-'94 to house the Imperial Diet of the German Empire. 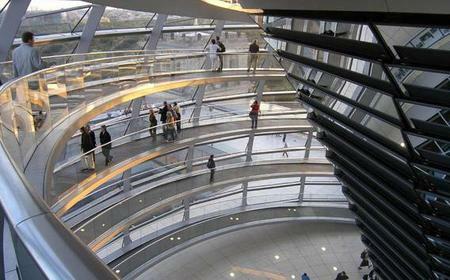 After World War II, the building fell into disuse till 1999 when it was revived as the seat of the Bundestag (Parliament). 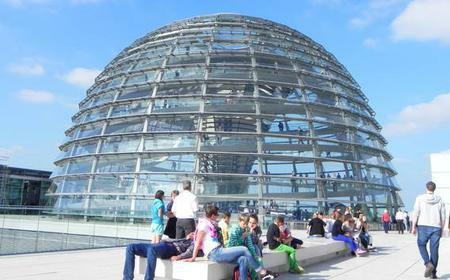 The dome at the very top and roof terrace are accessible to the public. 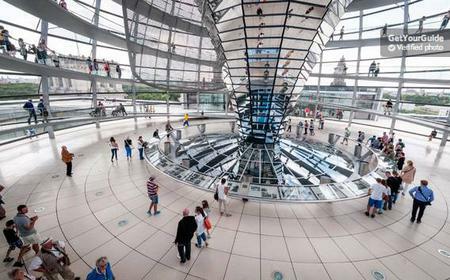 The large glass dome at the top of the Reichstag offers a 360-degree panoramic view of the city with the Parliamentary Quarters, German Chancellery, Potsdamer Platz, Berlin Cathedral, and the iconic Brandenburg Gate in sight. The main hall of the parliament below can also be seen from inside the dome, and natural light from above radiates down to the parliament floor. Prior registration is required to visit the dome. 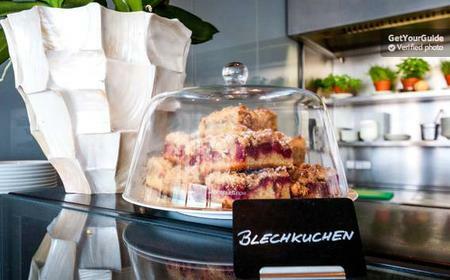 Book your tickets to Reichstag well in advance so that you do not miss out on one of Berlin’s best attractions. 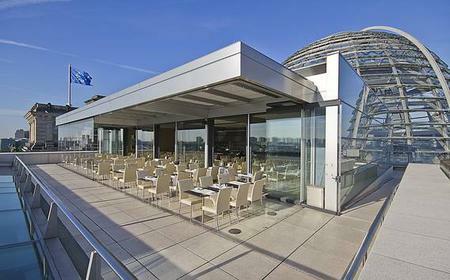 Take the elevators to the walk-on roof at 24 metres, and then the spiral-shaped ramps to the lookout platform at 40 meters above ground level. 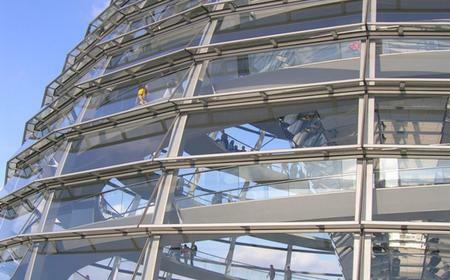 Learn about the history of the Reichstag, the German Bundestag, and the ecological concept behind the new structural design on your tour of the building. Audioguides are available in 11 languages - German, English, French, Spanish, Italian, Polish, Portuguese, Russian, Turkish, Dutch and Chinese. 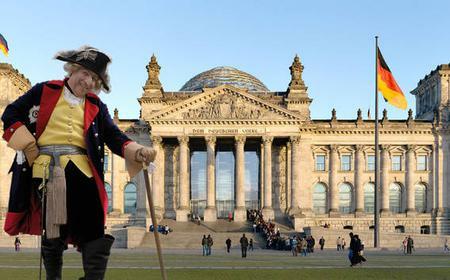 Originally designed by Paul Wallot in historicist style which was customary for government buildings of the time, the Reichstag's colonnaded façade combines Italian Neo-Renaissance with German Renaissance and Neo-Baroque elements. The columns of the central porch support an architrave inscribed with 'Dem Deutschen Volke' (The German People). The triangular pediment above features the Reichswappen reliefs by Fritz Schaper, and the main portal is flanked by reliefs of the coats-of-arms of the German states. The towers at the corners are surmounted by 12 feet high allegorical sculptures in sandstone. The northwest tower has the figures of Trade and Shipping, Heavy Industry, Small Industry, and Electrical Engineering. The northeast tower has Education, Classes, Art, and Literature. The southeast tower has Military, Wehrmacht, Justice, and Statecraft. The southwest tower has Agriculture, Cattle-breeding, Viniculture, and Brewery. 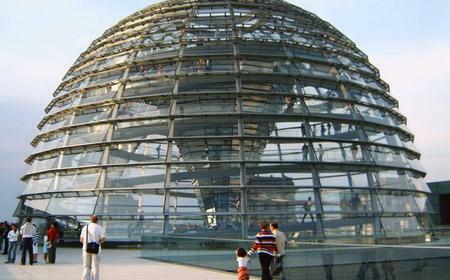 Norman Foster's renovation in the 1990s led to the addition of the iconic glass dome which symbolizes the reunification of Germany. It is 23.5 metres high, with its apex at a height of 47 metres. 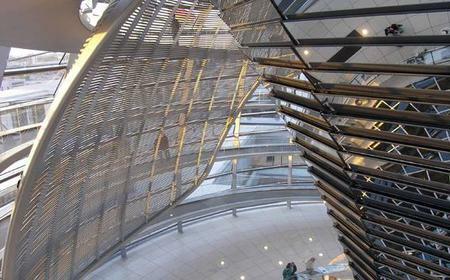 Its steel skeleton consists of 24 vertical ribs and 17 horizontal rings. There are various works of art in and around the building. 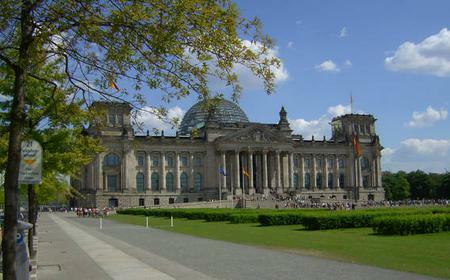 To the south-west is the Monument to the Memory of 96 Reichstag Deputies murdered by the National Socialists. The Reichstag's collection also includes Bernhard Heisig's 'Zeit und Leben', Katharina Sieverding's 5-part photo-painting which is another memorial for the persecuted Reichstag deputies of the Weimar Republic, Joseph Beuys' 'Tisch mit Aggregat' installation, Sigmar Polke's light boxes with playful picture collages from politics and history, and Gerhard Richter's works in the colors of the German flag.